What wheels fit our E250s? 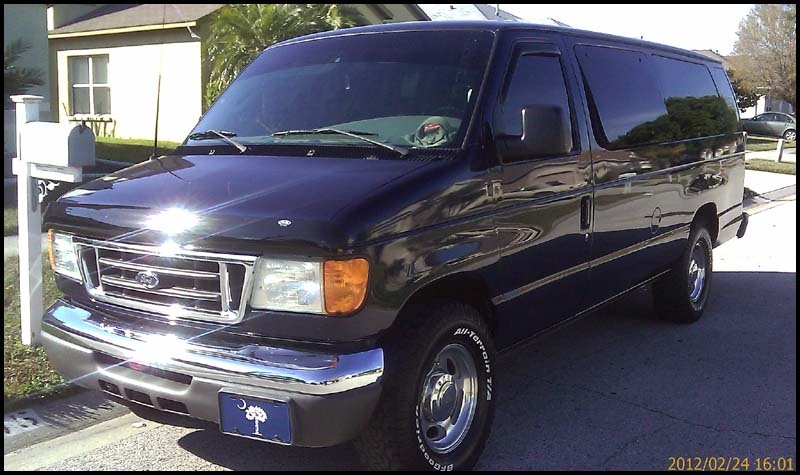 I'm new to these vans and would like to upgrade from the stock steelies+hubcaps on my 1992 E250 Sportsmobile EB. I understand our bolt pattern is 8x6.5. What is the offset? Is it safe to go lower offset (poking out more)? What, if any are some wheels from other vehicles/manufacturers that fit? 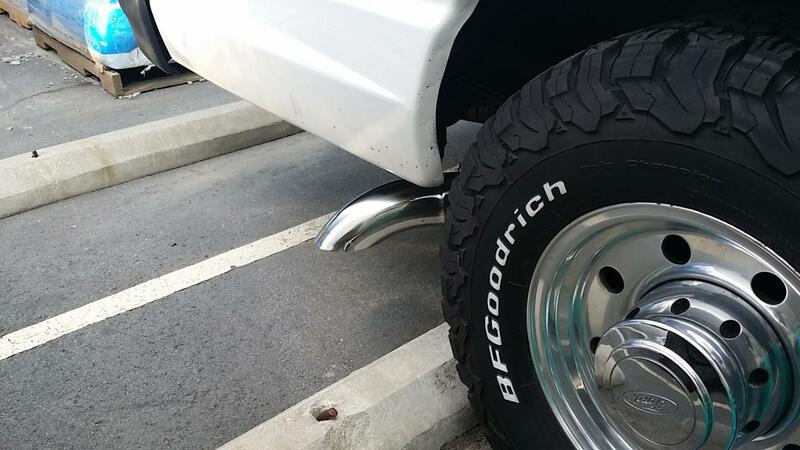 What's the widest tire that will fit without a lift (at stock offset)? There are a lot of threads here regarding wheels. You can start with this one, but a search will get you many more. For example would these fit (with different tires). I contacted the seller and he says the offset is 0. How about these with tires as is (265/75/16)? The factory wheels are 7.0 x 16.0 with a +6mm offset. Awesome I like the first ones! If anyone is upgrading wheels and has a set please let me know! Ive found the biggest problem with factory dodge and chev rims is the hub bore is too small for fords. Factory GM rims have a bigger hub bore believe it or not. As you will see they are all 8x165.1 so should fit right?? Nope! The chev and dodge factory rims have too small of center bore. Aftermarket is a whole different thing. If you have a factory SMB you probably have 60/40 doors. For those who have sliding doors I would be very concerned of the offset. I have 285x75x16 with 0 offset and the sliding door barely clears. Worth it to do some research. Thanks, yes I've got the barn doors. What's the width of your rim? Offset is relative to the width. I found a set of American Racing Outlaw II for $300 on craigslist but they don't include caps, and they can be had brand new for $450 on eBay!